Explanation: In December of 2003, the world saw spectacular first images from the Spitzer Space Telescope, including this penetrating interior view of an otherwise opaque dark globule known as the Elephant's Trunk Nebula. 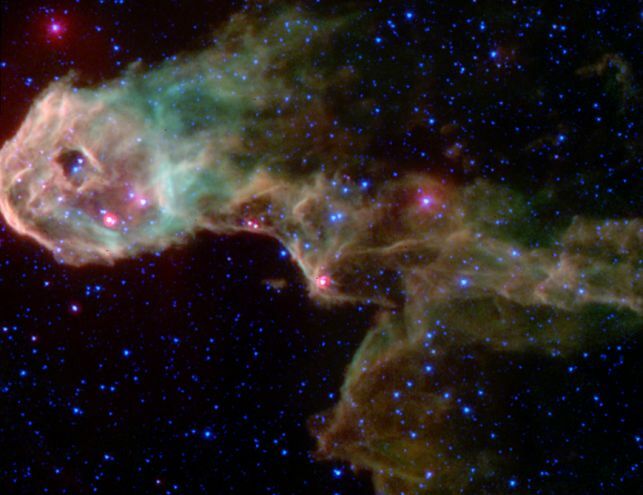 Seen in a composite of infrared image data recorded by Spitzer's instruments, the intriguing region is embedded within the glowing emission nebula IC 1396 at a distance of 2,450 light-years toward the constellation Cepheus. Previously undiscovered protostars hidden by dust at optical wavelengths appear as bright reddish objects within the globule. Shown in false-color, winding filaments of infrared emission span about 12 light-years and are due to dust, molecular hydrogen gas, and complex molecules called polycyclic aromatic hydrocarbons or PAHs. 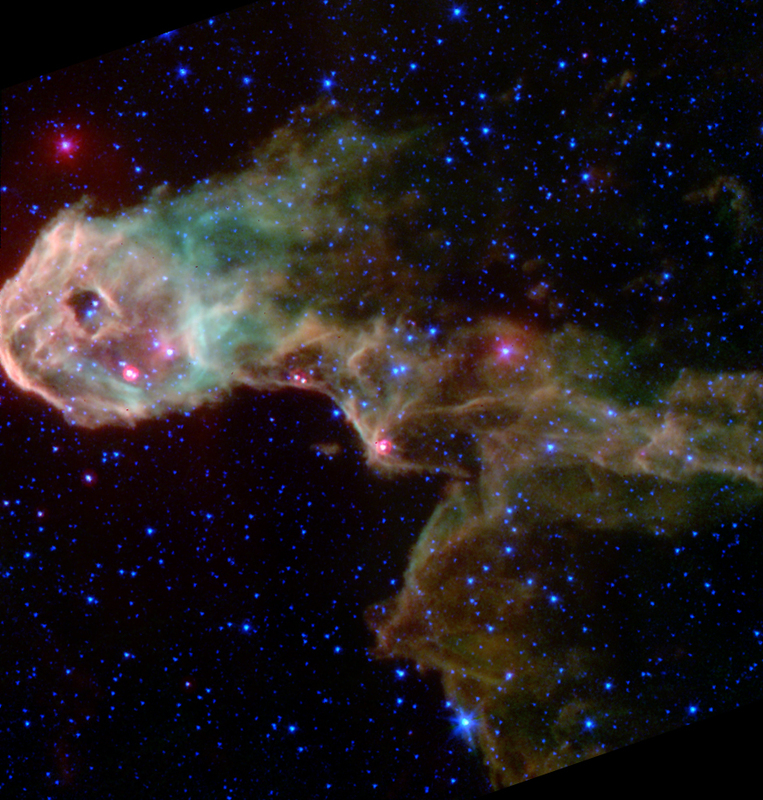 The Spitzer Space Telescope was formerly known as the Space Infrared Telescope Facility (SIRTF) and is presently exploring the Universe at infrared wavelengths. Spitzer follows the Hubble Space Telescope, the Compton Gamma-ray Observatory, and the Chandra X-ray Observatory as the final element in NASA's space-borne Great Observatories Program.